Wilddahlias.com author: Dayle E. Saar, Ph.D.
D. E. Saar received her Ph.D. in Biology with a concentration in plant science from Northern Illinois University, DeKalb, IL. Her co-advisors were Drs. Paul D. Sørersen (taxonomy) and Neil O. Polans (plant genetics). Her dissertation research included a systematic study of the genus Dahlia, which relied on data sets from ecology, natural history, cytology (chromosome numbers), and DNA sequences. After a post-doc research appointment, she worked at Arcadia University, Glendale, PA as a visiting professor for one year before joining the faculty in the Department of Biological Sciences at Murray State University, Murray, KY. She currently holds a position of Associate Professor and is the curator of the herbarium. 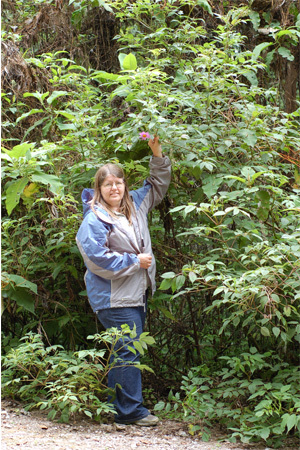 She teaches courses in botany, biological concepts, plant systematics, biogeography, plant ecology, and bioinformatics. 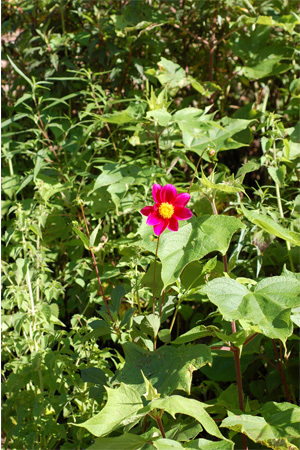 Dr. Saar has made multiple trips to Mexico and has traveled over 8,000 miles through the country by motor vehicle to study dahlia species in their native habitats. Field research has included 23 states plus Distrito Federal. 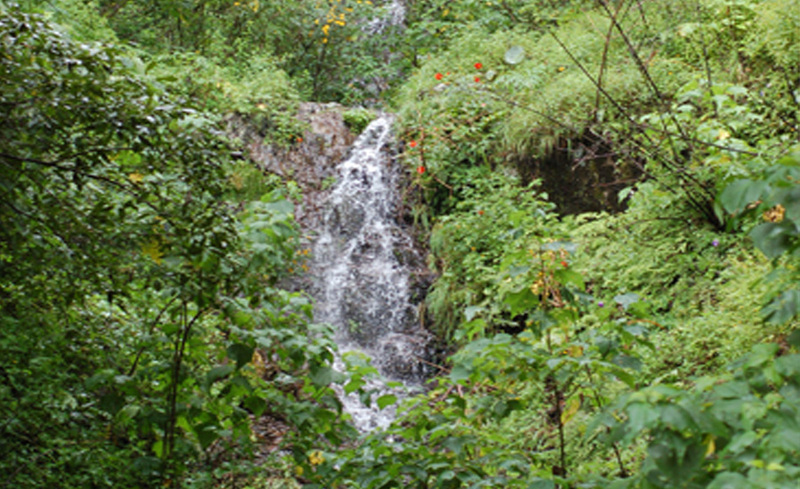 She continues to conduct research in her laboratory on the wild species of Dahlia, among other projects including mulberries, pines, and other taxa. She has authored or co-authored the following scientific papers that include one or more species of Dahlia. Two additional projects are currently underway and publication is anticipated within the next 12-18 months. Eid, S., C.V. Almeyda, D.E. Saar, K.L. Druffel, and H.R. Pappu. 2011. Genomic characterization of pararetroviral sequences in wild Dahlia spp. in natural habitats. Archives of Virology 156: 2079-2084. Eid, S., D.E. Saar, K.L. Druffel, and H.R. Pappu. 2011. 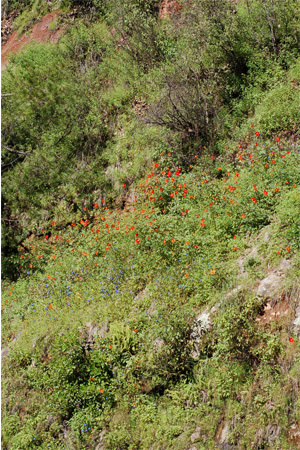 Plant para-retroviral sequences in wild Dahlia species in their natural habitats in Mexican mountain ranges. Plant Pathology 60: 378-383. Eid, S., K.L. Druffel, D.E. Saar, and H.R. Pappu. 2009. Incidence of Multiple and Distinct Species of Caulimoviruses in Dahlia (Dahlia variabilis). Hortscience 44: 1498-1500. Saar, D.E. and P.D. Sørensen. 2005. Dahlia sublignosa: a species in its own right. Sida, Contributions to Botany 21: 2161-2167. Saar, D.E., N.O. Polans, and P.D. Sørensen. 2003. A phylogenetic analysis of the genus Dahlia (Asteraceae) based on internal and external transcribed spacer regions of nuclear ribosomal DNA. Systematic Botany 28: 627-639. Saar, D.E., P.D. Sørensen, and J.P. Hjerting. 2003. Dahlia campanulata and D. cuspidata: two new species from southern Mexico. Acta Botanica Mexicana 64:19-24. Saar, D.E. 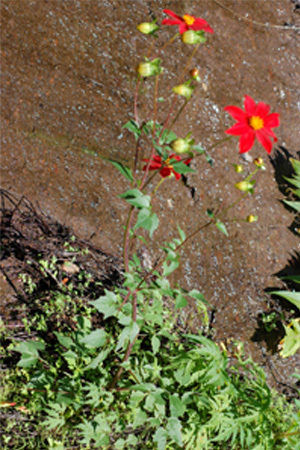 2002 Dahlia neglecta (Asteraceae): a new species from Hidalgo, Mexico. Sida, Contributions to Botany 20: 593-595. Saar, D.E., P.D. Sørensen, and J.P. Hjerting. 2002 Dahlia spectabilis (Asteraceae): new species from San Louis Potosi, Mexico. Brittonia 54: 116-119. Saar, D.E., N.O. Polans, P.D. Sørensen, and M.R. Duvall. 2001. 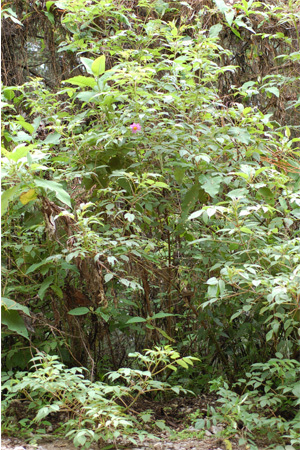 Angiosperm DNA contamination by endophytic fungi: detection and methods of avoidance. Plant Molecular Biology Reporter 19: 249-260. Saar, D.E. and P.D. Sørensen. 2000. Dahlia parvibracteata (Asteraceae): new species from Guerrero, Mexico. Novon 10: 407-410. 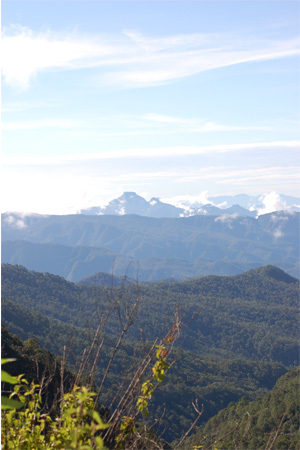 Dayle Saar with Dahlia tenuicaulis near the Jalisco/Colima state line, Mexico, elevation 2,824 meters (9,265 feet).